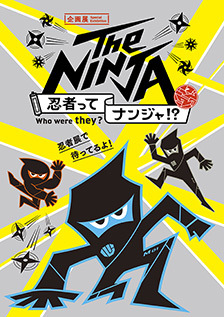 Exhibition: The NINJA - who were they? Exhibition: The NINJA – who were they? Train your body and your mind like a Ninja at this special exhibition at the Miraikan Museum of Emerging Science and Innovation. With the help of modern science, researchers at Mie University have studied the Ninja though old ninjutsu manuscripts, revealing some of the secrets of the way ninjas lived and thought. This interactive exhibition presents ancient and practical knowledge of the Ninja. Practice memory techniques, send secret messages and learn how to throw a shuriken. Find The NINJA – who were they? is on the first floor of the Miraikan Museum in the Special Exhibition Zone. Open every day except Tuesdays from 10:00-17:00.